Let i-Browser Website Management Services Cornwall manage your website while you spend your time managing your business. If you haven’t got the skills, time or a dedicated web team who can manage your website it can be a real challenge and a risk that your website will under-perform. There are many individuals and business owners who say they have a website, but they don’t have the time to learn how to manage it properly. As a result, they neglect software upgrades, security upgrades, content updates, and more, and their website suffers as a result usually falling down the search engines. 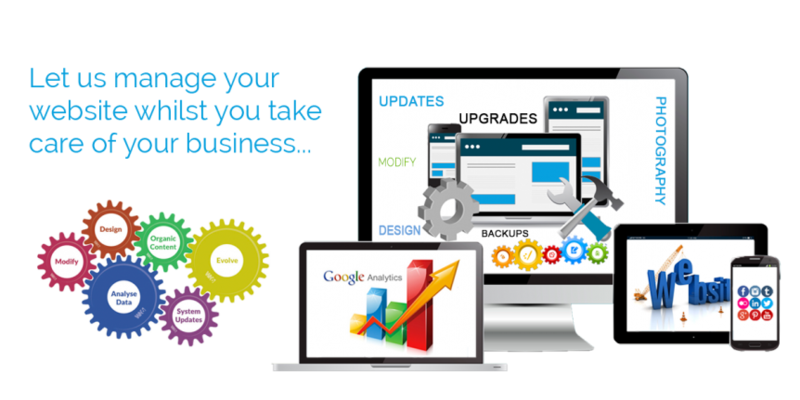 Website Management Services Cornwall specialise is managing websites for all kinds of organisations large or small, ensuring everything about their website is kept up to date to meet the needs of their business. For a fixed yearly, monthly or quarterly fee we’ll manage and grow your web presence making sure it’s driving value into your business. We can put together a custom management plan to meet the individual management and maintenance needs of your company website. We understand that every website owner will have different needs for their website and their business . That is why we offer different website management plans that are tailored for your specific needs including hourly and various periodic rate packages. If you have frequent maintenance needs you can save money and sign up to a Periodic Plan based on your website and company needs. Contact us today and find out more about how i-Browser Website Management Services Cornwall can fully manage your website with efficiency and ease.